Hello! Since embarking on my new blogging adventure at the start of the month I've been thinking about how I can create more helpful and hopefully interesting content for my readers. I want to share more of an insight into how I blog, as well as more helpful posts with tips and tricks that I either know of have taught myself. I've had quite a few messages about my photography over the past few months, but I've never really had the confidence to talk about it. I mean I still don't think it's amazing when I see other bloggers who have totally perfected their pictures. However, I don't think self-doubt is the way forward anymore and I'm doing my best to believe in myself and create content that perhaps I wouldn't have done a few months ago. I hope you enjoy! I blogged for about 3 years using my iphone and an inexpensive digital camera, which did the job for me. However, when I decided to pursue my photography more the camera I opted for was the Canon 700D which I purchased from Jessops it cost me about £560 with a standard kit lens, but I also use a 50mm lens sometimes! I've also heard from a close friend that the Nikon D3300 is a great camera and a little kinder on the pocket at £319 if you're looking to purchase your first DSLR. If you're considering upping your blog photography game then lighting may well be on your mind. Studio lighting isn't the cheapest thing to purchase, but you can get a great kit from Amazon where I purchased mine for around £50, which includes two lights, bulbs and some of the kits have carry cases too! - However, in all honesty you can't beat natural lighting, which doesn't cost a thing! If I ever get the chance to shoot with natural lighting I will always choose to do that over getting my lights down from storage. When it comes to backgrounds I do like to switch it up now and then. For a really simple clean photo shoot I use A1 Foamex, which you can find at HobbyCraft from £4 or 4 for £10 or my Wooden Flooring, which you can find similar styles to at B&Q. I also recently tested out my DIY skills and visited Wilkos (only available in store) where I purchased Marble Effect Vinyl, which looks foolproof on camera and also very inexpensive for under £10! Like my background I do like to switch things up, but most of the time I will keep a faux bunch of flowers and some pretty stationary in the background, which I purchased from TKMAXX to add a little depth. Take a look at my 9 photography props under £16 post for some inspiration. 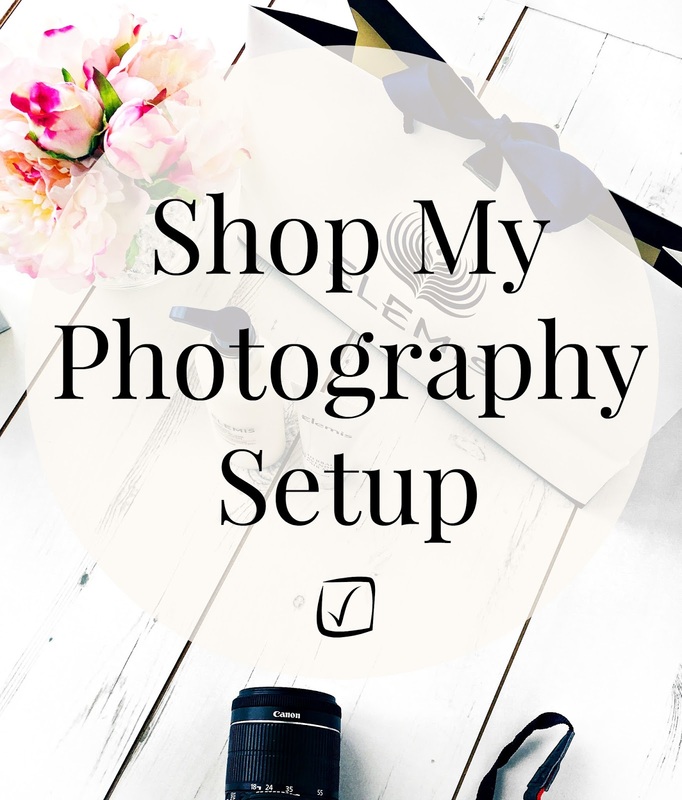 I hope you've enjoyed this post and if there is anything else relating to my blog photography that you would like to know about then please let me know in the comments section below.